We know the cooler weather is upon us when the local garden-centre shop is filled with an assortment of spring flowering bulbs in an array of flowers and colours. The excitement and anticipation of the colours and arrangements that can be created in our gardens is wondrous. Ambition is the key to success. Right? If you already know which bulbs you’ll be planting you can go straight for them and get them in your hot ‘green’ hands. For others it is a chance to riffle through the assortment of flowers and colours to choose the ones that tickle their fancy. Ensure that you choose bulbs that will suit the conditions that you can provide. 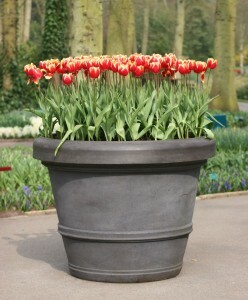 One day I too will have a pot of red Tulips!!! 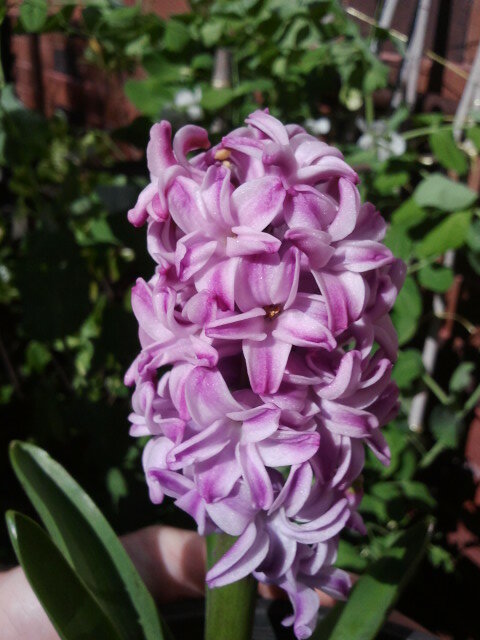 Last year I tried my hand at growing both Tulips and Hyacinth flowers, you may remember I wrote a post about it. 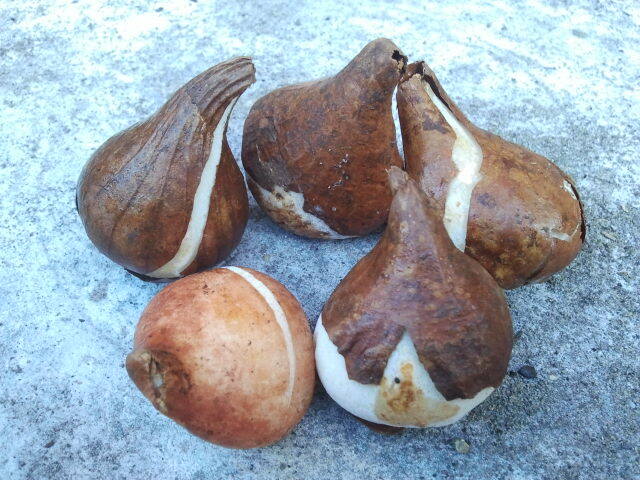 You can read ‘It’s Bulb Planting Time’ here. I was very excited! I chose the bulbs, chilled them, got my pots, asked the husband where the soil was and planted my little bulbs. 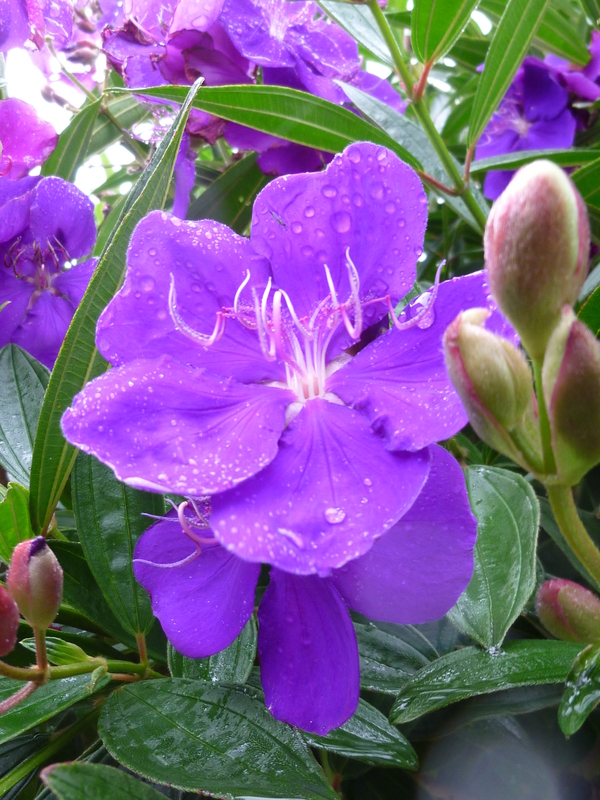 I had them in a great position on the north side of my house and I lovingly watered and cared for them. You can see where this is going can’t you… Well, don’t get too sad, it’s not all doom and gloom on the bulb front. I was a little disappointed with the result, but I did get some Hyacinth flowers and the scent of them knocked my socks off! I also got to glimpse some tulip leaves, but that’s as far as the tulip story goes. 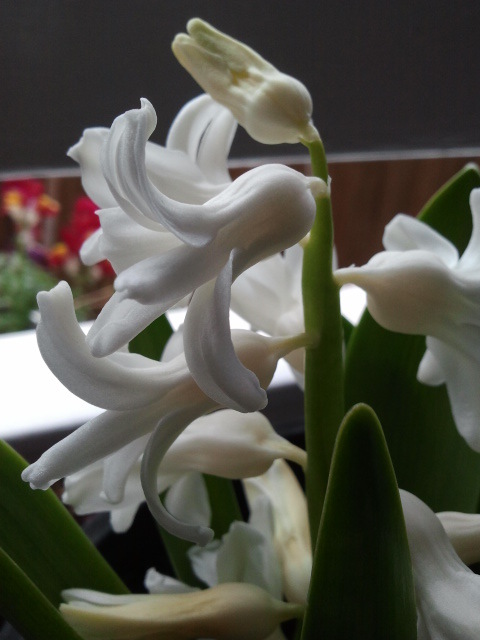 A spike of perfumed Hyacinth flowers – that I grew. In my defence I’ve never said I was a master horticulturist, I’ve only ever said I would give it a go, and that is exactly what I encourage you to do too. It’s one thing to know ‘stuff’, it’s another thing to make the ‘stuff’ you do know about gardens work. And that is what I love about gardening. It is seeing past the, what shall we call them… how about ‘the troubles’… seeing past the troubles, making adjustments and learning from the experience. That is what I think gardening is, some people have breathtaking eye-candy results (also known here as Polka Dots) while others plod along anticipating the next attempt. This was my eye candy. But I think I know where I went wrong, actually it’s a few little but significant things.… I think it is a problem most of us have created all in the name of making do – it was bulb planting on a budget. The soil I used was rubbish – in my quest to assemble all that was required to plant my bulbs I was directed to nutrient poor, unstructured soil. Good, nutrient rich soil is something I never skimp on when planting but it seems I inadvertently did so in this case. Don’t worry, I now have a stash of soil that I can put my hot ‘green’ hands on when I need. 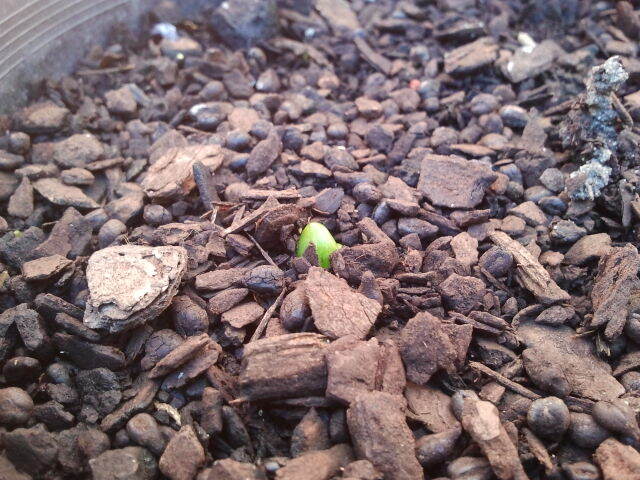 Here you can see the beginning of the Hyacinth. This is where is gets exciting. The second problem was the pots, they just weren’t deep enough and I wasn’t able to plant the bulbs deep enough in the soil. I had a gorgeous little weather worn terracotta pot that I thought my flowering Hyacinth would look spectacular in and it did, this one did flower but it wasn’t very big. A little rustic, a little old world, just scrumptious, but I think the bulbs would have done a whole lot better if the pot was deeper. 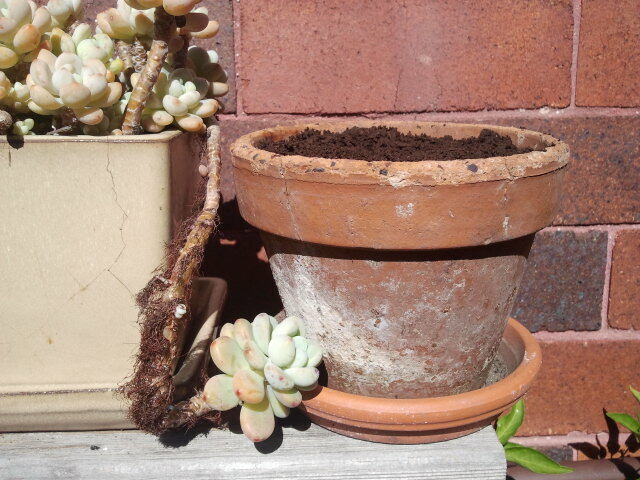 Can’t you just imagine a gorgeous Hyacinth emerging out of this weathered terracotta pot? I have not been deterred. 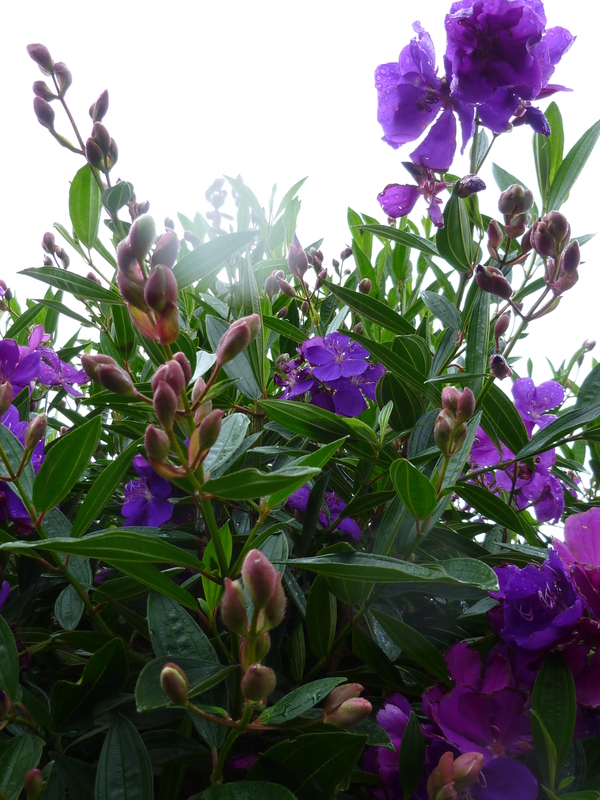 The excitement and anticipation of the coming flowers is such a lovely gardening experience. It’s what gardening dreams are made of. One open flower and still more to come. Yippee! So, I encourage you to come along on the bulb growing journey. It’s fun, it’s unexpected and you never know, you may just succeed and have a pot full of eye candy. Stage two of growing flowers from bulbs is underway, I’m so excited and I’ve just added yet another reason to look forward to spring. If you haven’t read stage one, ‘It’s Bulb Planting Time’ click here and you can read all about when I planted my purple, papery Hyacinth bulbs. They are going very well by the way. I am keeping them moist and making sure that they get enough sunshine during the day. As the sun travels further north I have to make sure I move them so that they can get the maximum amount of sun available. I have managed to keep them close to a north facing wall so the heat from the wall is retained and radiates out even when the sun is going down. 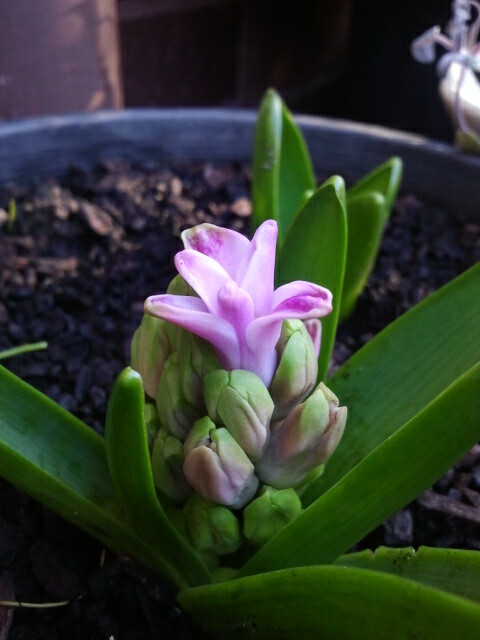 I don’t know what colour this Hyacinth is going to be – pink, white or purple – but I am sure it will be magical and smell amazing. You might remember that the Tulip bulbs I purchased required 4 to 6 weeks in the freezer. This tricks the bulb into thinking that it has spent a very chilly winter in the ground. 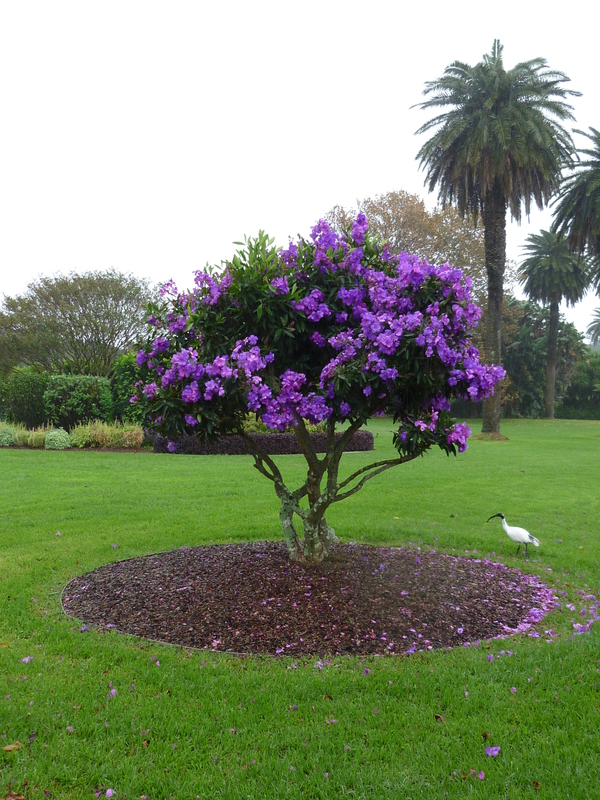 When we plant them in Australia in Autumn the soil has usually retained some of the summer heat – depending on the year and your location, so you need them to chill before you plant them. So, 5 to 6 weeks have past and my bulbs are ready for some potted love. Chilly Tulip bulbs ready for potted love. You can plant Tulips in a prepared garden bed or in a pot. I am planting mine in a pot, not just because my garden is predominantly filled with vegies (which would look quite magical with Tulips popping up) but also because I want to move the pot inside to the sunroom once it flowers. In addition to all these very good reasons, by planting in a pot I know exactly where they. At the end of the Tulip flowering season when the flowers have finished and the leaves have died down I can easily lift the bulbs (i.e. dig them up) wash them, dry them and store them over winter. Then next year at about the same time after 4 to 6 weeks in the freezer I will plant them all over again – it just keeps getting more exciting! Yesterday in the gorgeous afternoon light and desperately needing some outdoor time I decided that my lovely little Tulip bulbs had spent sufficient time in my freezer and were ready for the next stage in their journey – some potted love! So out I went with my pot, soil, gloves, frozen Tulip bulbs and a will for the little things to produce the most wonderful display for our sunroom when they arrive. I don’t know what colours we will be blessed with but it really doesn’t matter, five flowering Tulip bulbs is all we need. 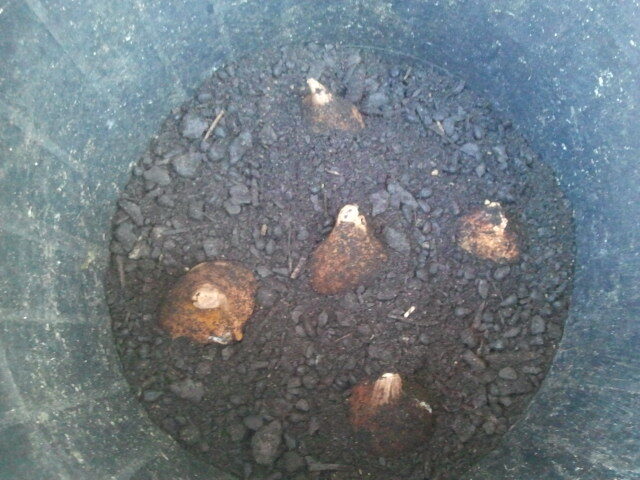 I have placed the bulbs deep in the composted soil with the pointy end facing up. The most important thing about planting any bulb is that it is planted the right way up. You can see from the picture above that I have planted the bulbs with the pointy end facing up. 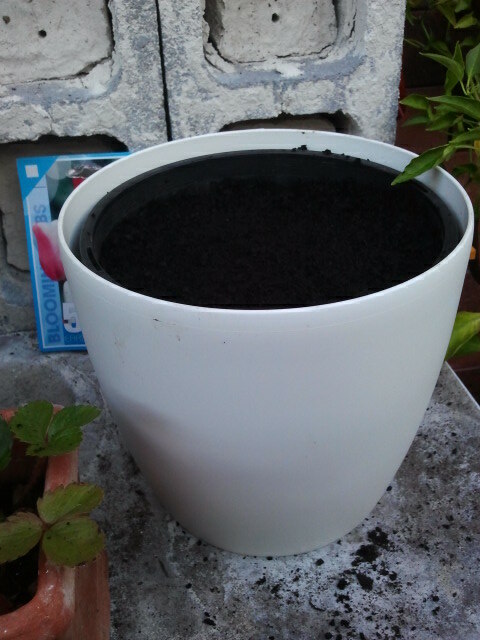 This end is where all the fabulous green and flowered goodness will come from. If you plant them upside down you’ll be visiting the florist for your fresh Tulips. Tulip bulbs require deep, moist, well-drained soil enriched with compost and leaving them to do their growing business in a nice sunny position. It also recommends (on this pack) that they be planted 10cm to 15cm apart. 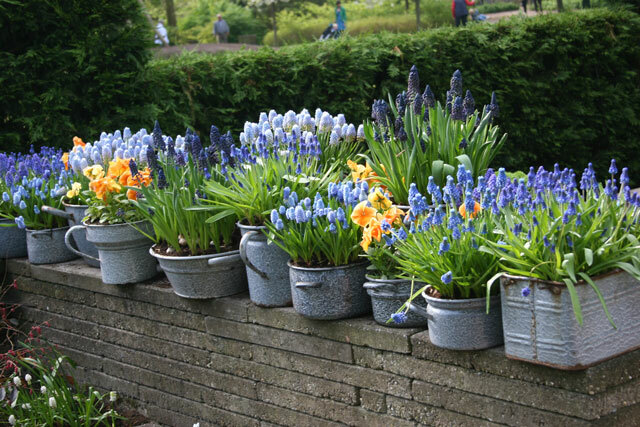 I have read just as many articles on planting bulbs that suggest mass planting them in pots and in the garden. If you are not sure, experiment. They are not expensive to purchase. 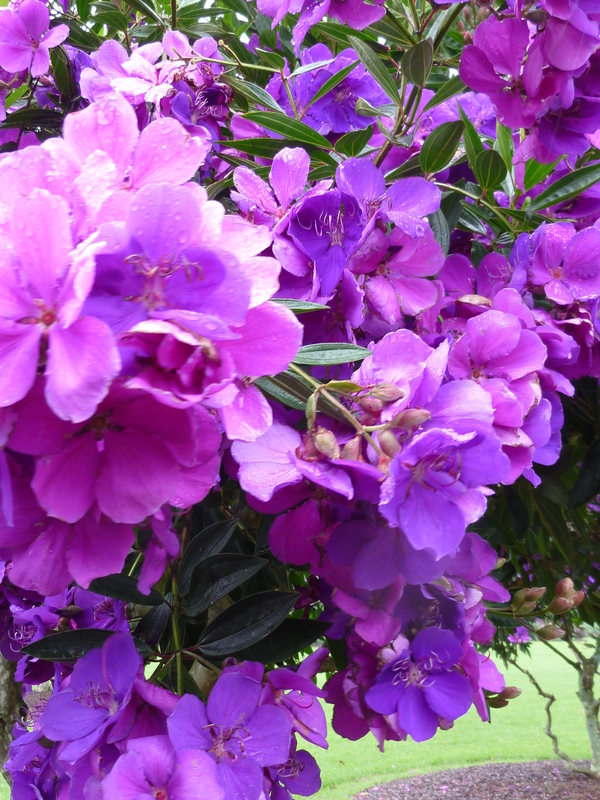 You could plant some in the garden at different spacings or in pots with different numbers. If you do plant them in the garden remember where they are so that you can lift them and plant them again next autumn. By experimenting you can see what the bulbs respond to best and you can see what colours and spacing you prefer. Let the magic begin. Oh, so excited for spring! I am so excited about all the magical little bulbs I have planted over the past few months. I will care for them as best I can and encourage them to burst out of the soil in spring in wonderous colours and perfect health and look forward to displaying them in my home. 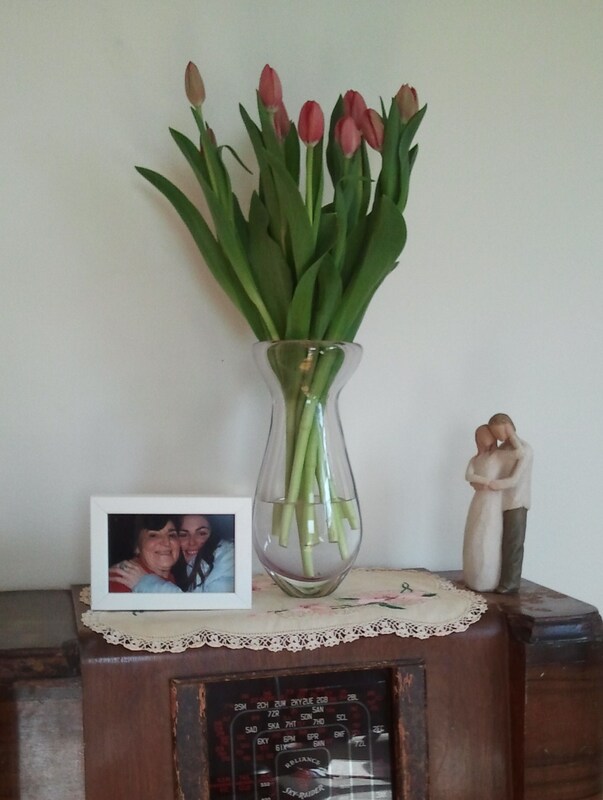 A vase full of beautiful pink Tulips. 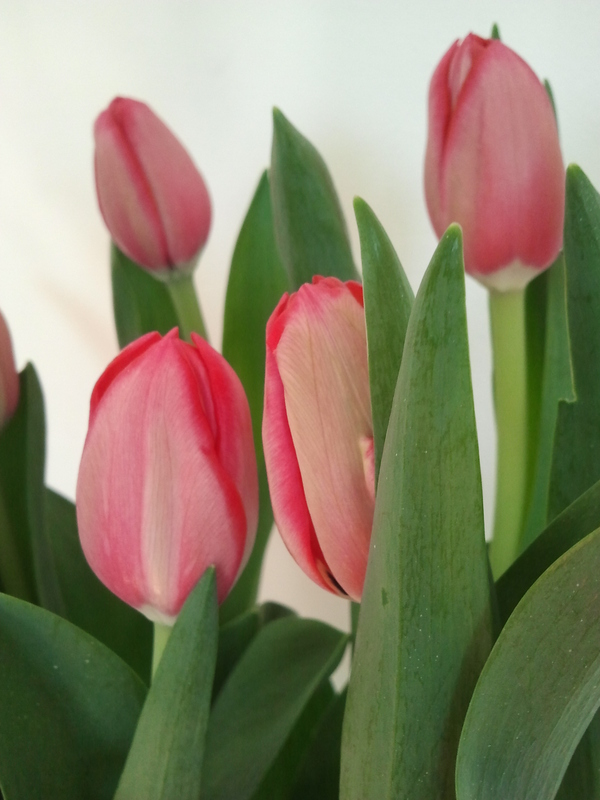 Pink Tulips, I am so excited to see what colours mine will be. I hope you too have enjoyed planting your bulbs, which ever you have decided to plant. I can’t wait to hear your stories on your bulb flowering successes when they start showing their little green leaves to the heavens in spring. Good luck! 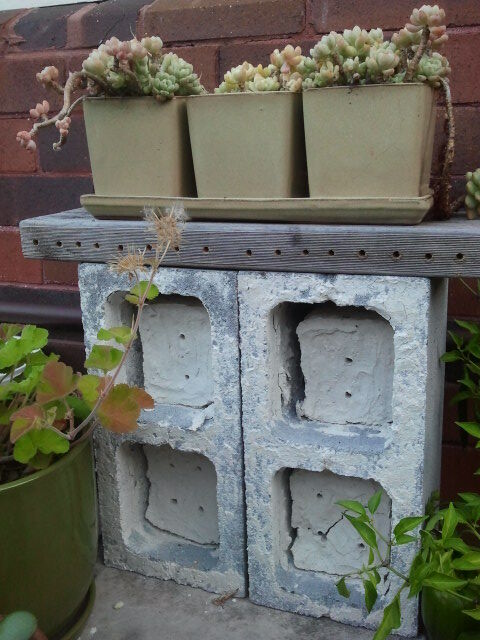 For many years now my husband has had a fascination with Australian native bees. His enthusiasm is infectious and I too now love these gorgeous little insects that come to visit our garden and pollinate our flowers, vegetables and herbs. There are over 1500 species of native bees in Australia. Most of these are solitary bees that live without queens, workers or drones. They build their nests in tiny burrows in soil, wood or in clay crevices (like in the side of our building). It isn’t possible to harvest honey from them, but they do contribute to the pollination of our domestic and some commercial produce which is hugely important. The Blue Banded Bee (Amegilla cingulata) and the Teddy Bear Bee (Amegilla bombiformis) regularly visit our garden. If you think the Teddy Bear sounds like it might be big and furry well you would be right. One day I was sitting at my desk and all of a sudden I heard what sounded like a blow fly in the room. I tried to ignore it and hoped it would find its way back out the window but when I turned around I discovered a big furry bee not very happy with it’s choice of flight path. The Teddy Bear isn’t an aggressive bee so I decided that it would appreciate being guided out the kitchen window since that was where it was now headed. After a little persuasion and a run in with the glass it managed to escape back to the garden. I now often hear it pollinating the plants outside my window and I just love it, it is such a busy little worker and I appreciate its visits. Click here to see a Blue Banded Bee buzz pollinate a tomato flower. Teddy Bear bees are found in all states except Tasmania. They range from 7mm to 20mm but you’ll usually find them to be around 15mm. Many Teddy Bear bees nest in shallow burrows in clay soil but more and more of their native habitat is being destroyed due to land clearing. 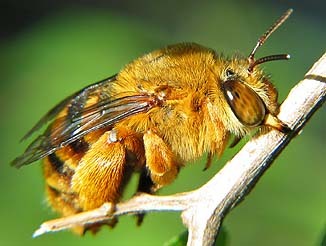 The golden fur of the Teddy Bear Bee. This is how they sleep. Click here to see a Teddy Bear Bee buzz pollinate a Senna flower. 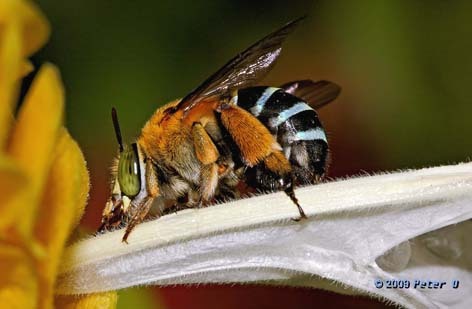 The Blue Banded bee can also be heard from inside our home. It seems to love the basil flowers and tomato flowers and because we have so many they tend to visit most days. They have bands of beautiful iridescent blue fur across their backs but it can also be green, reddish or white. Blue Banded bees and the Teddy Bear bees are excellent at buzz pollination. Buzz pollination is where the bee has the ability to take hold of the flower and vigorously vibrate her flight muscles resulting in a loud ‘buzz’. 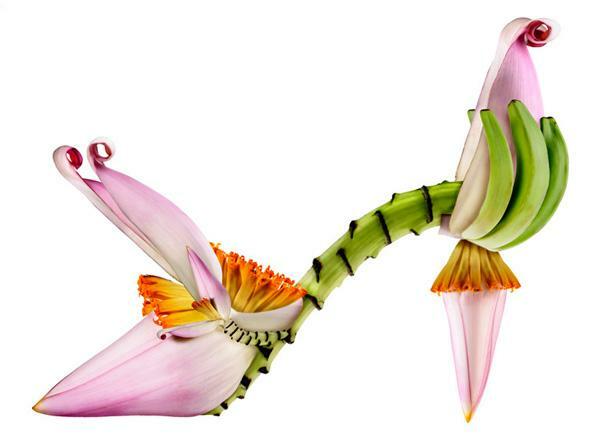 This action releases the hidden pollen from within the flower. Tomatoes, capsicum and chillis hide their pollen this way as well as some natives, such as Dianella and Hibbertia to name but two. He made a clay home complete with burrows. 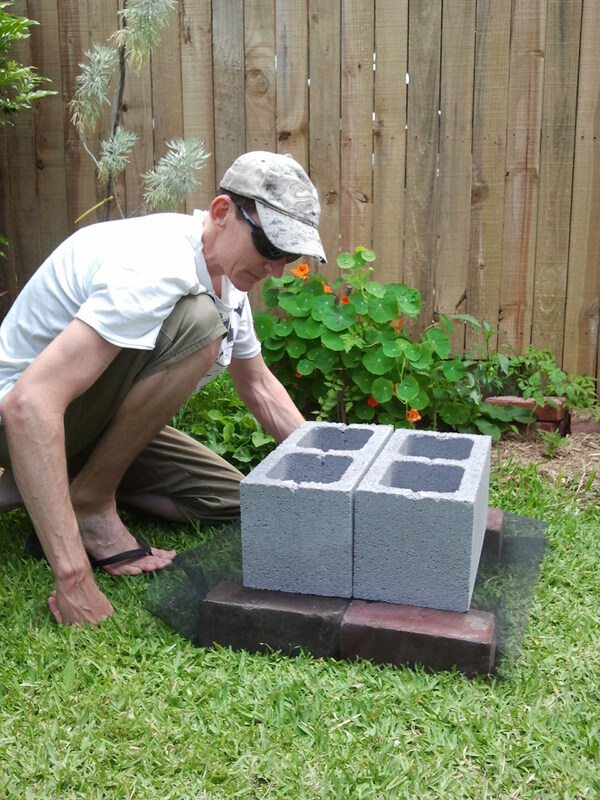 Bricks to keep the hive off the ground. Mesh to keep the clay from pouring through. Bessa blocks to give the hive structure. 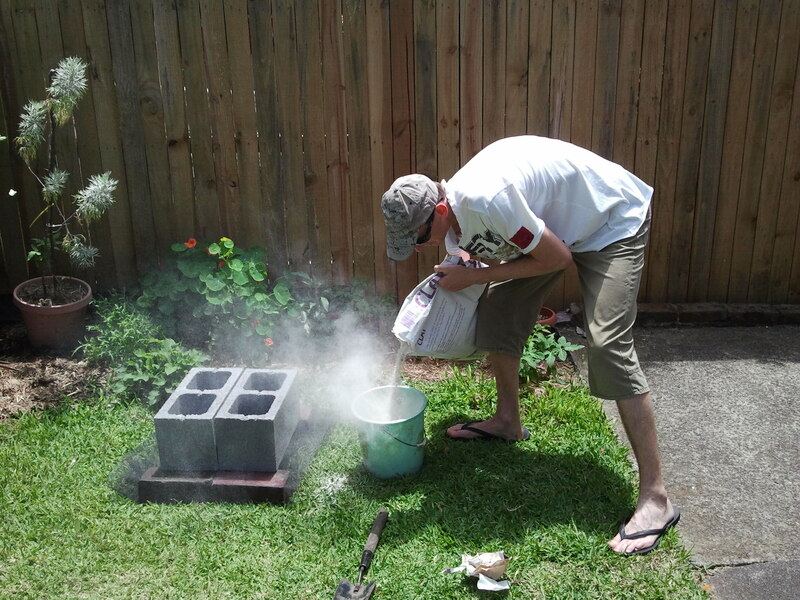 Pouring the clay into the bessa block. When the hives were almost dry but still soft they were poked with a pen to leave holes for the bees to start building their nests. 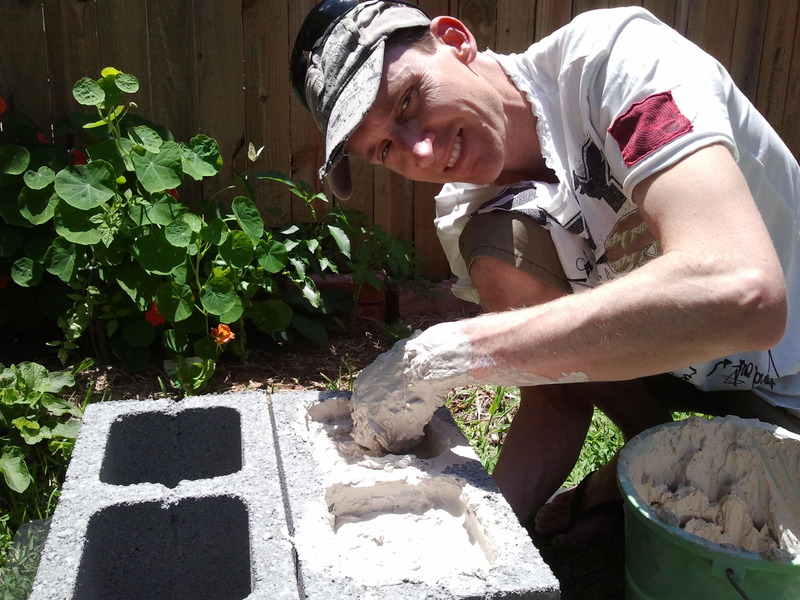 As you can see there was a lot of clay required to fill all of the bessa block holes and as you can imagine the drying time was long. Within days of pouring the clay we had heavy down pours of rain and very mild weather (rather than the usual heat expected at that time of the year) which meant that the clay took longer to dry. But the clay did finally dry a few weeks later. I was concerned a curious little critter might like to make their new home, only to discover that they were stuck head first in wet clay, probably, never to be seen again. The wooden bee-home was made from reclaimed wood and drilled at even intervals. Well, it is a few months on now and so far no critters have taken up residence yet, but we keep checking. We know they visit and we know some of the solitary bees search the side of our building looking for holes in the brick mortar, some may even be living in them. As our north facing wall cools down over the next few months we may notice more arrive and think our clay or wood burrows are pretty appealing. Let’s hope so! Here you can notice the holes in both the wooden board and in the clay. These holes are where the bees enter to make their nest and lay an egg. The mother usually dies before the young bee emerge from the nest. 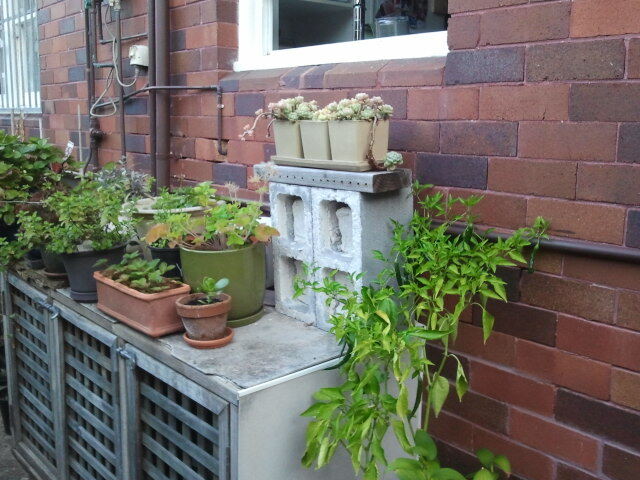 The clay and wood burrows are usually shaded by a basil plant growing in a pot placed in front. They are more likely to reside near plants that they are attracted to. Anyone interested in learning more about Australian native bees can go to www.aussiebee.com.au They have lots of available resources plus books and publications to purchase. To get us started my husband and I purchased Australian Stingless Bees A Guide to Sugarbag Beekeeping by John Klumpp and Introduction to Australian Native Bees *second edition by Dr Anne Dollin. I would recommend these resources. Bees are such wonderful little creatures and we need them to continue to pollinate our food and flowers. If the bees, native or not, disappear many of our food crops will not get pollinated. Encourage bees back to your garden with flowering plants and shelter, you’ll notice an increase in produce and be able to enjoy the sounds of nature outside your own window. If anyone has any native beekeeping or native bee spotting stories I’d love to hear from you. p.s. As I was getting ready to post this blog Teddy Bear Bee came in for a visit. I have seen and heard him/her outside a number of times today. So exciting and very serendipitous! I don’t think there are many people out there that wouldn’t consider flowers a Polka Dot and I’d find it difficult to believe that shoes are not many peoples idea of a Polka Dot. Well imagine flowers and shoes all wrapped up into one gorgeous Polka Dot. I got these in my mail box (that’s hopeful), no, my inbox a few weeks ago and couldn’t wait to show you, they made me smile with delight. I hope you also enjoy the wonderful creations and photography of Michel Tcherevkoff a New York City-based photographer. And now, ‘Divine’ – isn’t she! I have to admit, Fatal Attraction is my favourite. You should never mess with a woman wearing thorns. You can see more of these wonderful creations along with a discription and the plant name at Garden Design or visit Michel Tcherevkoff’s website and be amazed or inspired or both. 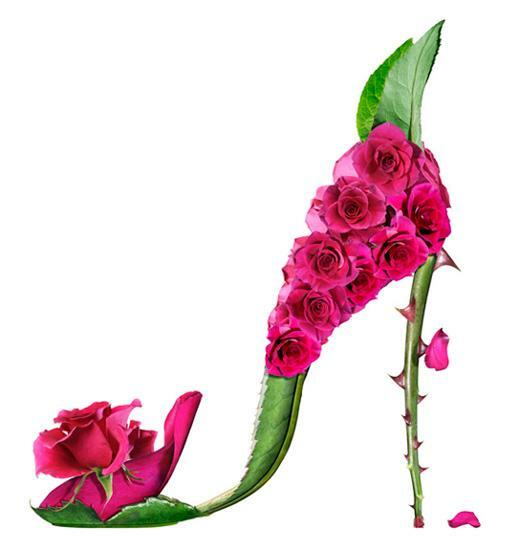 Do you have a favourite shoe flower? While thinking about all of the wonderful Polka Dots out there I decided to start with this one. Flowers for Fridays. A beautiful bunch of flowers bought on a Friday afternoon (or any time for that matter) and savoured over the weekend, it is one of the most wonderful and simple Polka Dots of all. I think flowers in the house are such a delight, they bring the outside in and I find flowers so relaxing and comforting. 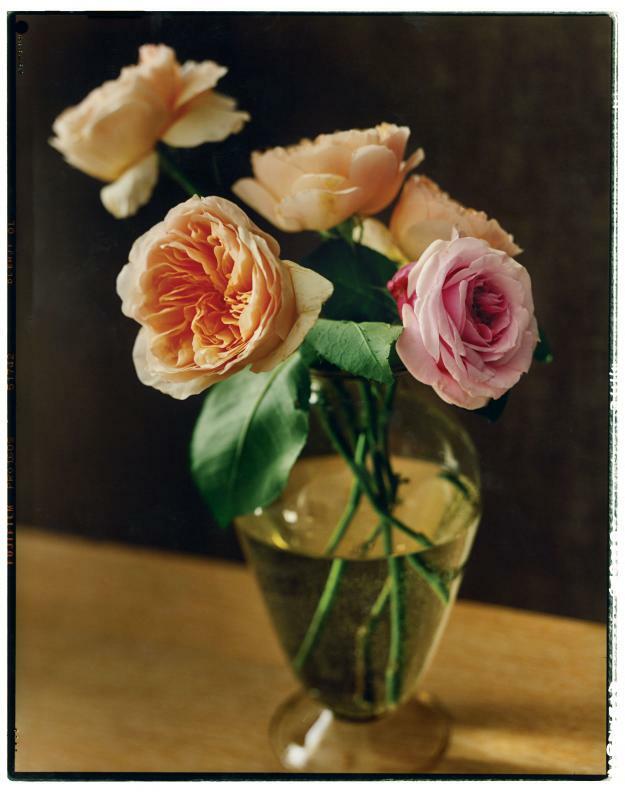 I grew up with flowers in the house, not all the time, just on occasions and it was so lovely, like a new view or a tiny holiday for your eyes as they search the room for something predictable. Oh, and the joy of giving flowers is a Polka Dot all on its own, who doesn’t love to see the smile created when giving a beautiful bunch of flowers. While I don’t have a favourite, because I think any flower in the right vase can be spectacular, I do love Australian native flowers and arrangements. But you have to be careful when asking for Australian natives because you may just find a South African King Protea in the mix. 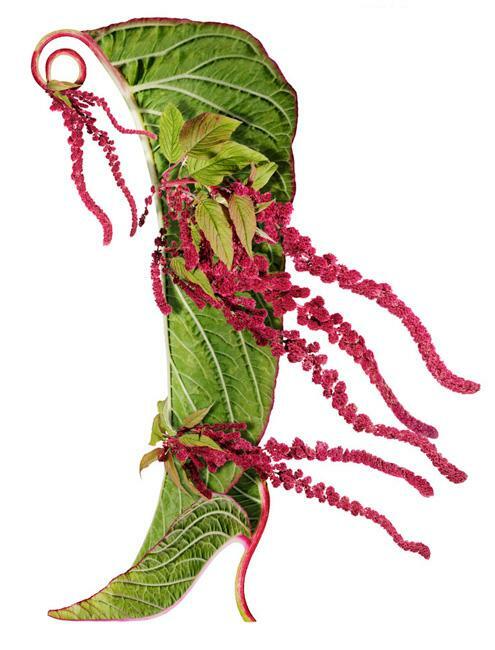 It is a spectacular flower but it will not make your arrangement an Australian native flower arrangement. Different species of cut flowers require different care so remember to ask your florist or seller how you can get the best from your cut flowers to make them last day after day after day. 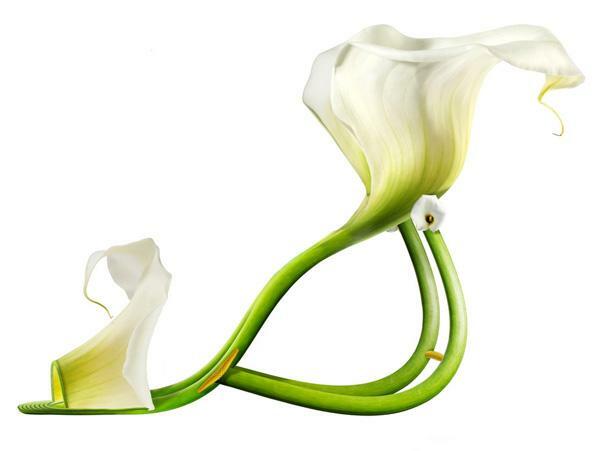 Also think about the vessel, if it can hold water it can hold flowers. Be imaginative and create something wonderful to bring a quiet corner of a room to life. 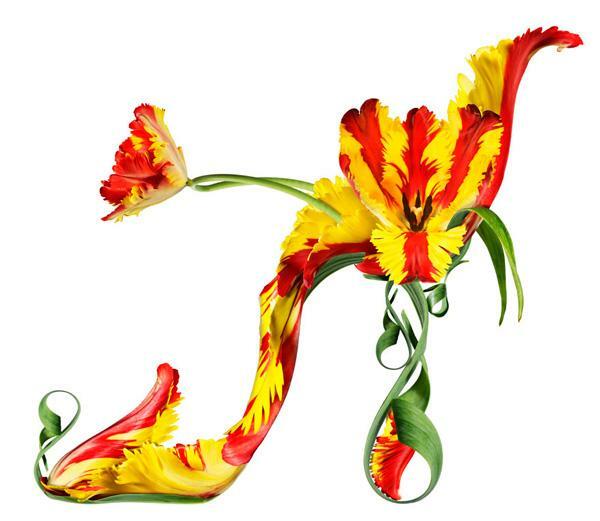 What are your favourite Flowers for Fridays?